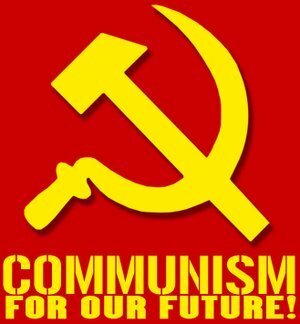 "The goal of socialism is communism." Vladimir Lenin made this statement as a reminder to present and future generations for a reason. The statement appears to have been a warning which he felt should be heeded by all of those who wanted to avoid making the same mistakes as those of past societies. We can attempt to guess his true intentions, but one question stands out: Why would a public figure make such a statement unless he felt there was a significant need for the public to hear and heed it? Perhaps Lenin was familiar with the way in which such oppressive collectivist regimes were sold to societies in the past—with all of the glitz and glamour a person could want. It seems that these socialist/communist regimes were initially introduced with wonderful promises of prosperity and tranquility for all of those willing to acquiesces. However, in many of these instances of reform, it turned out that the scheme of bait-and-switch was well in play. By all appearances, this same game of bait-and-switch is being played today here in the United States, and according to past trends, the fallacy of celebrities is the main tool of choice to implement it. Please note that these subjects of politics are not typically covered here on DTM with very much emphasis. Unless there is some deeper significance to various political issues of the day, I try to steer clear of the political conflict. At this time, however, it does appear that there is very much significance to this issue of an attempt to rush a standard of socialism into American policy, and from the looks of it, this attempt does not at all seem to come from a place of benevolent intention. The memorable words of Vladimir Lenin are commonly uttered in modern political discourse. In past years, the above quote was merely used as a caution to remind us of the past mistakes of various nations in order to help our current governments avoid failing in the same way. However, at present, it appears that all past suffering and death which resulted from socialist regimes has been forgotten and society is once again flirting with influences they do not fully understand. Here in the United States, the political left seems intent upon recreating the standards of numerous failed regimes of the past. Countries such as Venezuela, Singapore, and North Korea are common examples of socialist (and even democratic socialist)—regimes which present-day Americans may not be familiar with. The argument seems to be that there are successful examples of socialist governments that did not eventually implode and destroy the lives of millions (or commit gross human rights violations on the way). To some extent this may be true. However, as our present situation appears, the ability to predict the results of our choices is all but completely absent. In other words, modern Americans citizens seem to lack the ability tell the difference between benevolent intentions and overtly destructive plots. One recent event may have actually proven this deficiency within the American public. Let's set aside the overblown political debate and take a look at the facts of past celebrity rhetoric surrounding this issue. Afterward, we will discuss the consequences of putting our trust in the hands of Hollywood actors and celebrity propaganda. This is Breitbart.com with a review of celebrity rhetoric which boasted the wondrous promises of prosperity in now destitute Venezuela. Nearly two decades of socialism has left oil-rich Venezuela in an unparalleled crisis. Recent figures show that a majority of Venezuelans go to bed hungry and 15 percent of people eat garbage to survive. The country desperately lacks basic resources, such as medicine and power. 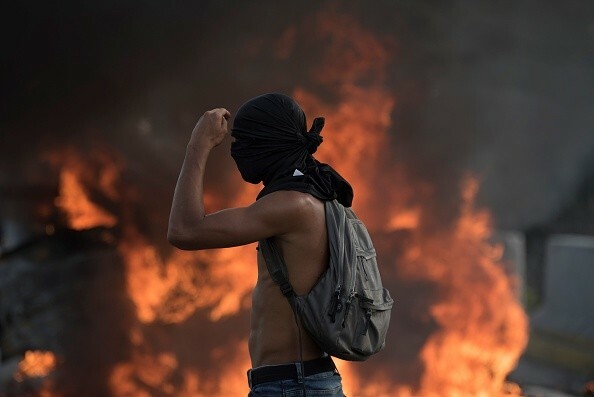 Mass protests and riots are now breaking out across the country, as dictator Nicolas Maduro attempts to discard the Venezuelan constitution to tighten his grip on power. However, Venezuela’s problems date back to 1999, with the election of socialist president Hugo Chávez, whose mass redistribution of wealth and financial mismanagement laid the groundwork for the country’s economic collapse. Like his successor, Chávez was an authoritarian who clamped down on press freedom and regularly locked up his opponents. His government also funded gangs known as colectivos,tasked with intimidating poor communities into supporting him, while distributing pro-government propaganda across the country. Nevertheless, Chávez’s regime received plaudits from numerous left-wing academics, politicians, and celebrities who have now gone quiet on the matter. Here are ten of the most prominent examples. However, the veteran academic did raise skepticism over Chávez’s authoritarian streak, criticizing him for an “assault on democracy” as Chávez expanded his concentration of executive power. Film director Oliver Stone was such a fan of Chávez and the rise Latin American socialism that he made a film about it, entitled South of the Border. In the film, he conducted interviews with the continent’s left-wing leaders, including Chávez, Cuba’s Raúl Castro, Argentina’s Cristina Fernández de Kirchner, and Bolivia’s Evo Morales. Civil rights activist Jesse Jackson visited Caracas in 2005 to apologize for remarks by TV evangelist Pat Robertson in which he called for Chávez’s assassination. After Chávez’s death, Jackson also offered a prayer at his funeral while celebrating his socialist legacy. “Hugo fed the hungry. He lifted the poor. He raised their hopes. He helped them realize their dreams. And, so, today we do mourn, because we’ve lost a lot. But we have a lot left – a stable government, an orderly transition,” he said. The leader of the British Labour Party Jeremy Corbyn, currently standing to be the country’s next prime minister, was an avid supporter of Hugo Chávez and the Venezuelan regime. In a bizarre foray into journalism, British supermodel Naomi Campbell visited Hugo Chávez in 2007 for an interview with GQ. “I’ve been here for 24 hours and I’m amazed to see the love and encouragement for the social programs that you have here for women and children in Venezuela,” Campbell said at the time. The economist Joseph Stiglitz, a recipient of a Nobel Laureate, praised Hugo Chávez’s socialist policies whilst on a visit to Caracas in 2007. In the run-up to last year’s presidential election, Stiglitz served as an advisor to Hillary Clinton’s unsuccessful campaign on economic and trade issues. Actor Danny Glover became one of Chávez’s most prominent supporters after meeting Chávez in 2006. The following year, the Venezuelan government even gave Glover $18 million to direct a film on the Haitian revolution. It was never released. When we see this many celebrities promoting a potential powder keg of blind societal reform in America, it is important to note the result of similar choices of other nations. We have this example of Venezuela which was unanimously supported in Hollywood initially, and yet we see the result. The demonstration of poor judgment seems to suggest a need to question the latest instance of blanket support from Hollywood actors. 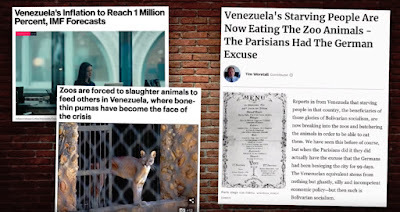 Not only do we see this utter failure of bad planning and poor judgment among the government figures of Venezuela, but we see either the lack of knowledge, a lack of foresight, or a lack of concern from American celebrities and politicians on the matter. Considering the failures of each of these parties, it becomes necessary to question the capacity of those who so confidently sell the narrative of a socialist utopia while pretending that their own past failures of the same ignorant perspective could not go horribly wrong yet again. According to some, this trend of flirting with disaster by certain political figures and celebrities in the U.S. is not at all an act of ignorance, but an attempt at sabotage. It is difficult to argue the fact that our present time has brought revelation of corruption and chicanery in politics like never before. Whatever our view of the current President is, it seems clear that his election has created more transparency within the United States government than any administration has in a long time. See also - WATERGATE WAS PEDOGATE - Has this Massive Scandal from the Past Come Full Circle? We might also keep in mind that the past two decades have proven that under this rampant corruption, multiple corporate and government interests were intentionally working for their own financial benefit while allowing the rest of the American people to suffer as they slipped into greater and greater states of poverty. If the same government interests that have resisted the revelation of corruption are the same as those that promote socialism, why would we consider it sane to trust them? Why would the American people trust the intentions of those who promote such questionable intentions of secrecy? This may be a significant reason as to why the fallacy of celebrity has been used so profusely in pushing the socialist rhetoric. If Lenin was right, then it would make sense that those advocating for an already overgrown government to gain even more power and control were asking for trouble. When we consider the fact that the same Hollywood establishment which cheered Venezuela into ruin is doing the same to the U.S., the potential hazard becomes clear. The convoluted message of these celebrities comes across as asinine. Yet, for some strange reason, it is still promoted with confidence. 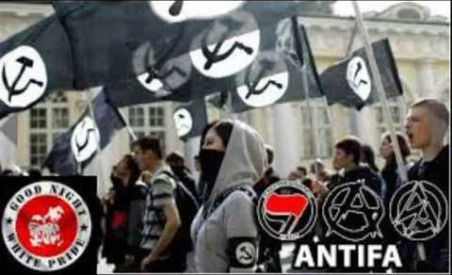 Oftentimes, like the infamous communist regimes of the past, it is promoted with violent force. or carry weapons in public unless they plan to cause trouble. For some reason, this push for socialism from the political left has been consistently complimented by violent street thuggery. 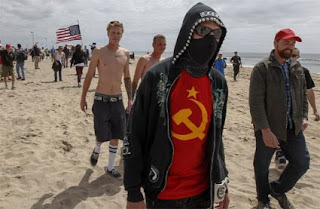 Gangs of leftists adorned with the symbol of communism have taken it upon themselves to brutally assault anyone and everyone who they believe disagrees with their own perspectives—throwing basic decency, civility, and respect for American law out the window. 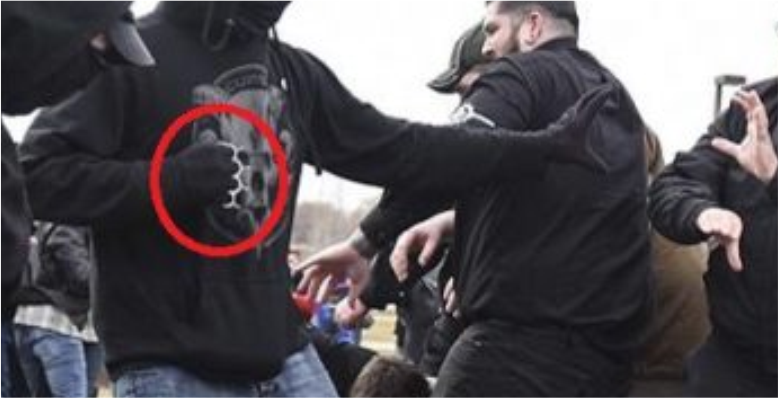 Every attack these gangs commit against American citizens seems to be a precursor to the political violence which leftists may intend to impose upon the country if they get their way. If this is not the case, why have so few leftists in Washington spoken out against ANTIFA? From the words of actor, Sean Penn, we see the opinion of yet another celebrity. According to Penn, journalists who do not agree with his own views on Hugo Chavez should be censored and punished for their disagreement. This standard of thought control and censorship seem particularly concerning. They conform to the standards of censorship which we have seen in social media and the MSM, and much like ANTIFA, these fascist standards further suggests an attempt by leftist Hollywood personalities to force submission and conformity on those who resist them. However, instead of paraphrasing, let's listen to what the next excerpt has to say. 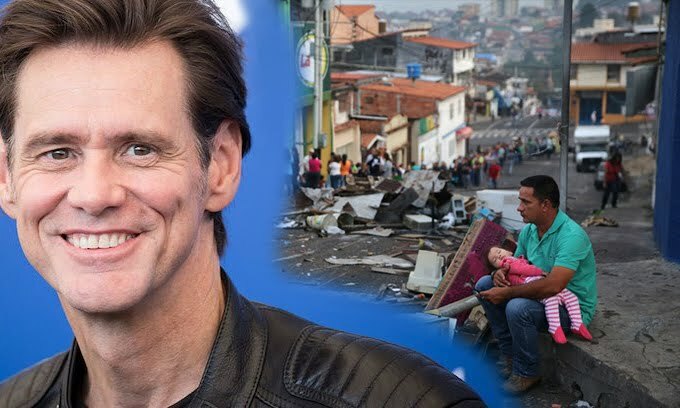 The Oscar-winning actor and political activist accused the US media of smearing Venezuela's socialist president and called for journalists to be punished. "Every day, this elected leader is called a dictator here, and we just accept it, and accept it. And this is mainstream media. There should be a bar by which one goes to prison for these kinds of lies." Penn, who has visited Chávez in Caracas, said Venezuela's poor majority had willingly embraced his leftist revolution, but that this view was concealed from Americans. "We are hypnotised by the media. Who do you know here who's gone through 14 of the most transparent elections on the globe, and has been elected democratically, as Hugo Chávez?" Penn, speaking on Bill Maher's HBO chatshow, is part of a small but vocal pro-Chávez Hollywood group which includes Oliver Stone and Danny Glover. They have remained steadfast even as Venezuela's leader has lost fans at home and abroad. Inflation, crime and water and electricity shortages have hit his popularity and led to defections from his socialist party. The Organisation of American States recently accused Chávez of intolerance and authoritarianism, and a Spanish judge accused Venezuela of cosseting Farc and Eta terrorists, sparking a diplomatic spat with Madrid. Chávez thanked Penn for his support in what he said was a daily battle for public opinion. "I was reading the declarations from our friend Sean Penn, the famous American actor," he told a televised rally in Caracas. "Penn defended what he considers to be the truth." the president, who has been in power for 11 years. "From here I thank you very much." According to his own words, Sean Penn seems to view his own right to speech and expression as superior to the rights of journalists who disagrees with him. In fact, the issue of self-superiority seems to be at the root of many elitist policies which have been imposed over time. This perspective has been promoted in Hollywood as the new political norm. It seems ironic that so many Hollywood actors are willing to blatantly insult and smear the President of their own country with no issue at all, but yet somehow, Chavez and Venezuela are off-limits. 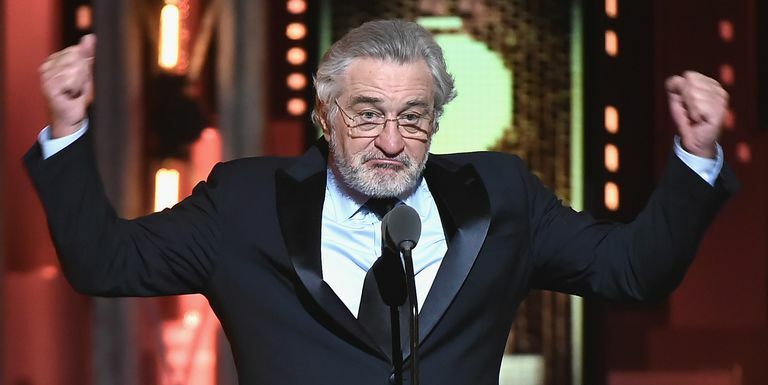 These celebrities even burst into roaring applauds and standing ovations for nothing more than expletives being hurled at their own President. This type of behavior is far more than indecent. In many cases, it actually comes across as insane. It flies in the face of basic social etiquette, and yet it does so with brazen confidence. The nature of propaganda and fallacy via celebrities is an age-old trick. For as long as humankind has had its idols, those idols have been used to promote policies which are advantageous to the ruling class while in most cases, they are detrimental to the people. The same trend can be seen today. It is very rare that we see the corporate media giving notable attention to celebrities that actually appreciate the President to at least some extent. Unless these celebrities follow the media script of hate and disdain for all things related to Trump, it does not seem that they receive much attention from the MSM. However, the moment they choose to throw stones or to promote elitist rhetoric, the biased media instantly gives them a microphone and places them at center stage. For every bad policy and dangerous standard which politicians and corporate interests promote, there is a celebrity who is willing to sell themselves in order to promote it. As we have learned over time, actors don't always need a stage to be hypocrites. History has shown that sometimes, all an actor needs in order to play a role is the adequate (and oftentimes, monetary) motivation. Fallacy via celebrities is typically used by political and financial powers that have little to no confidence in their own argument. These intentions are typically underhanded and highly unethical and oftentimes elitist parties believe their stance is too weak to stand up to the opposition. Consequently, these elitist interests will buy the face of any actor they have influence over—often because the celebrity is assumed to be loved by the general public—in order to promote their flawed policy. The hope is that the people will not see through the ruse and recognize the agenda behind the pretty face of the celebrity. Generally speaking, the fallacy of celebrities has been used by the political left since long before the election of Donald Trump. This method has played a significant role in the ongoing anti-President efforts of many leftists. It is fine to have disagreements with regard to politics. However, when fallacy and physical violence play such a significant role on one side of the discussion, there is a sign of a much greater problem than differences of political opinion. Within any interaction—whether it be discussion or debate—there must be some standard of conduct by which both parties operate. This is the basic foundation of civilized living. However, this standard has progressively been eroded and even abandoned by those who claim to fight for them. We human beings—even as advanced and supposedly intelligent as we are—still have our roots in nature. Whatever direction we choose to advance in, it is important that we remember the fact that the foundation of our own existence rests within natural order. It is vital, I believe, that we avoid straying too far from the natural health and balance which nature exemplifies within all of its systems of function. Otherwise, we may find ourselves on a path of self-destruction from which we cannot easily escape. Let's compare the standard of socialism to that of Mother Nature. In essence, mandated socialism actually opposes natural order in multiple ways. In nature, every organism has authority over their own life. They (or instinct) decide through nature's design how to allocate and utilize the resources they require. At times, animals may choose to share their resources, and often do. However, this sharing is typically a result of self-created community and natural symbiosis. It can even be argued that sharing among organisms is an act of compassion and an expression of what we as humans know as free will (though animals may not be as conscious as humans are on that note). Benevolent tendencies such as generosity, cooperation, and symbiosis are largely initiated by the individual organisms involved and are largely detached from the will of outside parties. In other words, there is never a time when surrender of personal resources is enforced by powers exterior to those directly involved in the cooperation. Within nature, there is also a well-pronounced element of competition. Every organism in nature is surrounded by other organisms which we might consider its allies, as well as those we may consider its natural opponents. Yet within either of these relationships, competitive interactions are normal and regularly exercised. Some may see this as an argument for socialism, and there may be some merit to this point. However, we should keep in mind that in nature, there is no overbearing government breathing down the neck of every plant, animal, and organism forcing natural order upon them. In this matter, we bring into light the myth of a necessity for big government, or what we might term, collectivism. When mammals are born into the world along with their brothers and or sisters, they are all (with some exception) taken care of and given the resources they need in order to grow into adults and continue the species in as healthy of a way as possible. However, throughout their upbringing, each mammal may be in friendly and yet constant competition with its siblings. Even within family, there are naturally competitive interactions between many organisms which actually help to ensure overall success, health and continuity of the species. This self-initiated balance between competition and cooperation within nature has sustained natural order for millions of years. Along with evolution and the cooperation of several other apparently competing and yet cooperative forces, nature seems to be the most self-sustaining and prosperous order we see demonstrated in the universe. One important detail about natural order is that it exists at multiple levels of interaction, and granted humans avoid ruining it (due to our tendency to mettle without understanding what we are doing), this order can be sustained. The allowance of choice within society is not simply a haphazardly imposed standard created by un-evolved people. It is recognition of the right of every human being to choose what to do with their own energy and resources. When each member of society is allowed to live naturally as opposed to artificially, they are able to contribute their own unique individuality to the whole of society—whatever their individual role might be. However, when any governing body—which has little to no demonstrable respect for natural order at all—proposes that they have all of the skill, ability, intelligence, and discipline to replace nature completely, overt and destructive problems can occur. This can either show a severe lack of understanding of the complexity of natural order, or a direct intent by the would-be governing body to play God and/or replace nature entirely. This tendency to ignore and in many ways, to brutalize nature within humanity seems common among all areas of society which Cabal interests have affected. These elitists promote many of the destructive fads in the U.S. which most people barely even consider. Today, citizens are pressured into seeking a surgically altered, genetically modified, and partially hydrogenated version of everything in all creation. These unnatural changes are made in the name of improving these various aspects of life and/or making it more authentic. Unfortunately—though both political parties are notably corrupt—the left and the Democratic Party appear to have been targeted as the major weapon of choice used to influence the rest of society in this destructive stance against natural order. This group which, in the past, has presented admirable activism in environmental protection seems to ignore the very mechanisms which have allowed nature to prosper for as long as it has. According to research, the elitists who are guiding the narrative that socialism is a good idea in the U.S. appear to believe themselves to be gods in their own right. This can be seen in the way in which Hollywood personalities such as Sean Penn and much of modern leftism promote an extreme double-standard of behavior. "I have a right to speak, but those who disagree with me do not. We should throw them in jail." By my understanding, this is the position of modern leftism in Hollywood and many other areas of society. This is not to say there aren't plenty of issues to address on the political right, but in general, it appears that many of the changes which modern extreme leftism demands are based in overt opposition to nature and human rights. This may be why Cabal interests deliberately push standards such as those which claim that human rights don't exist. This standard appears to be very similar to the practice of narcissistic abusers in that they will commonly flatter their targeted victims while subtly devaluing them. When the victim has sufficiently become accustomed to the more subtle versions of abuse, that is when the more severe mental, emotional, and sometimes physical abuse begins. To demonstrate, here is an excerpt from ThoughtCatalog.com based on the firsthand experiences of a former victim of narcissistic abuse. These characteristics and behaviors of abusers seem concerningly similar to those which we are currently seeing from the political left. Combined with the manipulated tactic of projection, the leftist media has successfully convinced its would-be victims that its abusive tendencies are acceptable, and that a third party represents the real danger. All of the attention of the victim is being diverted to the third party while the abuse continues and progresses. The potential for severe abuse from the proposed socialist American government is extreme. The initial message appears to be that rights are only an idea and are not based in fact. This message then progresses to, "You have no rights, and by the way, you should let us control your resources as well." Eventually, this standard digresses to, "We can abuse you at will, seeing that you have no rights. You belong to us now." At present, the targets of the abuse are only President Trump and those who support him. It is also anyone who happens to disagree with the political left. However, according to the common tactics of narcissistic abusers, the targets of this abuse will eventually expand to everyone else, but only after the would-be victims (us) are financially and socially dependent upon them. According to the ThoughtCatalog.com, this intention of isolation and fostering of dependency in would-be victims is also a common tactic of abusers. Here is the excerpt. These are the tactics of psychological abusers, narcissists, sociopaths, and psychopaths. Psychologists are well-familiarized with these behaviors. However, many within modern society—particularly those who are still mentally and emotionally dependent upon mainstream news and entertainment—are all but completely ignorant of these tactics of manipulation and abuse. Consequently, if and when these characteristics are shown by politicians, corporate news organizations, and celebrities, the average citizen who lacks knowledge will miss the fact. There are those of us who are awake and aware of the potential threats to our freedom and liberty to choose for ourselves, and there are those who want someone else to take care of us, regardless of what we might lose as a result. Those who value freedom have likely been through abusive situations and know that it is unwise to listen to the words of the salesman alone. We know how to spot potential abusers before the abuse begins. (These freedom-loving individuals also happen to read history and have learned a good deal from it). In all this, there are those who may have no other way to learn a lesson in avoiding dangerous, unhealthy and abusive situations than to experience them firsthand. However, considering that we are all living in the same country, those who have already learned their lesson do not appear very interested in repeating past mistakes.